In autumn, you’re likely to find yourself face-to-face with KLM’s new brand campaign in one of many forms: online, outdoors on billboards, and even on Times Square in New York. Pursuing this campaign, KLM aims to show that a warm, personal approach really does make all the difference between a “pleasant” and a “memorable” travel experience for its passengers. “KLM cares for me is the essence of the new campaign manifestation. This positioning didn’t simply appear out of the blue. We conducted a great deal of research into our unique selling points. We renamed these as our unique caring points. Passengers are especially pleased with our open and honest attitude, coupled with our personal approach. Not only with respect to our cockpit and cabin crew, but including our ground staff and customer service staff members worldwide as well. This campaign aims to highlight that”, Natascha van Roode, Head of Global Marketing Communication at KLM Customer Experience. KLMs unique caring points currently in the spotlight include: World Business Class, Economy Comfort, Economy Class, KLM’s network and our extensive 24/7 customer service. 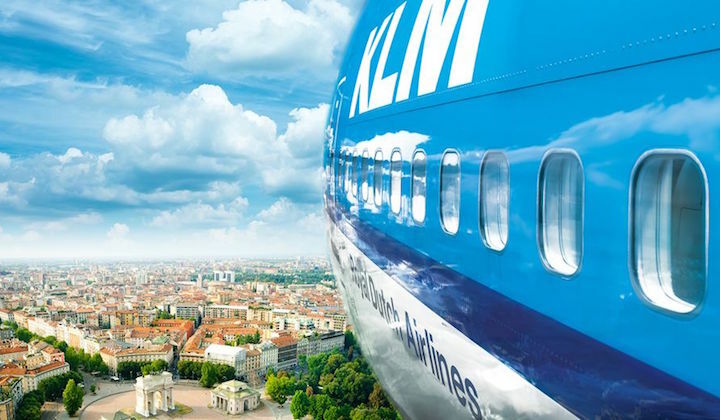 By combining its products and services with a personal approach, KLM offers an experience that extends beyond simply being a product or a service. It’s because we care has therefore been used as a central theme in our videos and banners, as well as outdoors in bus and tram shelters. The advertising material is available worldwide and will be used for several years. Sixty different versions have been created to serve four different regions: Europe, Asia, the Middle East and Africa. Different nationalities have been utilised to serve each region, and around 15 different languages have been utilised. The KLM employees in the campaign are not actors, which contributes towards the authentic character of the KLM brand.